Roses are red, violets are blue. These cards are awesome, you should buy two! 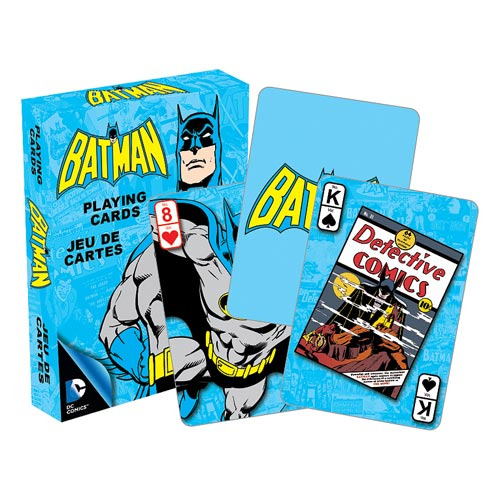 Measuring approximately 2 1/2-inches x 3 1/2-inches with a linen type finish, these Batman Retro Playing Cards will be perfect for your next poker night! For ages 10 years of age and older.